What’s new in CleanMyDrive 2? What is the difference between CleanMyDrive 2 and CleanMyMac? The CleanMyMac products are capable of cleaning your Mac’s hard drive. However, the external drives we use every day, such as usb sticks, also collect junk. You can remove this junk using CleanMyDrive 2. It’s free to download on the App Store. 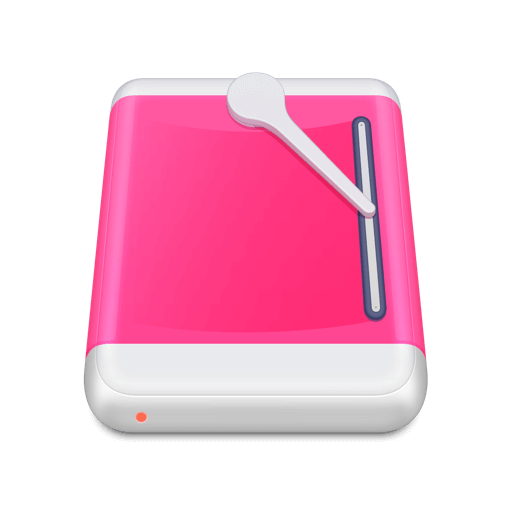 To get started with CleanMyDrive 2, just click on its icon in the menu bar and open the app. Here all of your drives (both internal and external) will be displayed, and you can see what your space is being used for and how much free space is left. Cleaning a drive is as simple as plugging it into your USB port, opening CleanMyDrive 2 from your menu bar, and hitting Clean next to that drive’s icon (please note that internal drives can be monitored with CleanMyDrive, but not cleaned). For more info on CleanMyMac, click here. Why is CleanMyDrive 2 asking for permissions to my hard drive? CleanMyDrive is an external drive manager, but it also displays the status of your internal drives. In order to do this, CleanMyDrive 2 asks for permissions, so it can access important information about your drives and display it in the app. By granting CleanMyDrive 2 these permissions, you are allowing it to show you how much space is on the drive, how much space you have left, what type of content you have on your drive, and other useful information. How do I maintain my removable drives? With CleanMyDrive you can maintain your removable drives by using its built-in, automated cleanup feature. To enable it, insert your drive, click on the Settings icon to the left of your drive’s icon in CleanMyDrive 2, and turn on the Automatic cleanup switch. Is CleanMyDrive safe to use? CleanMyDrive only monitors the space on your removable drives and cleans them from service junk (such files as .DS_Store, .Spotlight, Thumbs.db, Resource forks and other useless system-generated data) and trashed files (files that are simply removed and appear in the drive's local Trash). That means CleanMyDrive is completely safe to use. What does the “Eject All” command do? The Eject All command unmounts all of your mounted drives at once. If you close your MacBook or put your Mac into sleep mode after using the Eject All command, you will be able to eject any of your drives with the assurance that they won't be corrupted. What kinds of external drives can CleanMyDrive clean? CleanMyDrive can clean USB flash drives, SD cards, external hard drives. If you wish to clean internal drives as well, you should check out our all-in-one Mac cleaning app called CleanMyMac 3. Does CleanMyDrive work with network drives? Yes, it does, however, your network drives do not need to be cleaned. The reason? When you delete things from your network drive, your Mac takes care of the trashed items. The benefit of having CleanMyDrive for network drives is that it makes ejecting drives faster. But again, network drives do not collect or store trash, so cleaning them is basically unnecessary. How does CleanMyDrive work with Time Machine drives? CleanMyDrive shows your Time Machine drive in its main menu but does not clean it. This is due to the fact that cleaning your Time Machine drive may corrupt Time Machine backups located on the drive even if you aren't performing any actions with the backups. Does CleanMyDrive clean up drives even when if the app is not launched? No, CleanMyDrive does not monitor your drives unless it’s running (make sure you see CleanMyDrive’s icon in the menu bar). However, you can have CleanMyDrive launch automatically on startup by enabling this in CleanMyDrive’s Preferences. Where have the files cleaned by CleanMyDrive disappeared to? CleanMyDrive erases useless files completely, to the point where they cannot be restored. I can still see the files CleanMyDrive was supposed to delete. Why is this? This happens because service junk is being generated by the system every time you insert your removable drive into your Mac (or PC). This is why we suggest you clean your drive every time you unmount it.